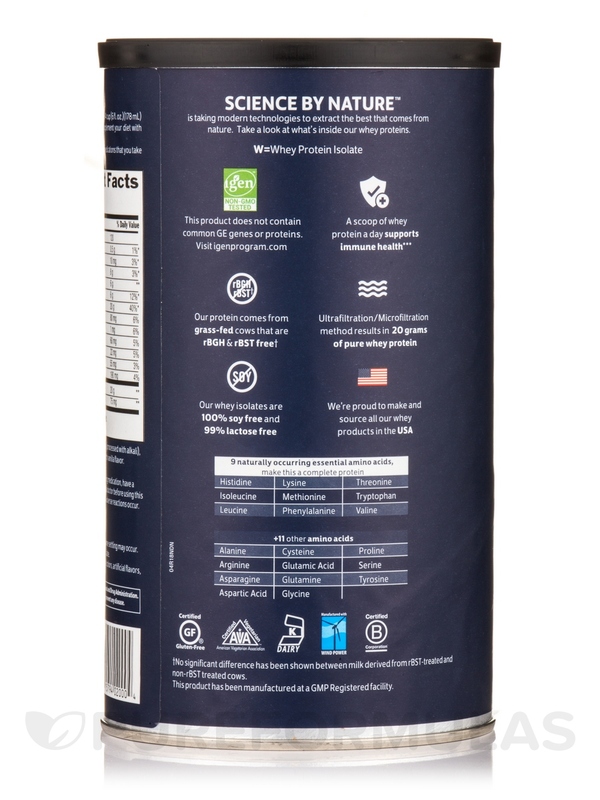 Biochem Sports ensure their Protein is the highest quality‚ by sourcing from grass fed cows and using only non-GMO ingredients. BioChem 100% Whey is undenatured and made by using a cold process‚ chemical-free micro-filtration/ultra-filtration method that removes most of the unwanted lactose‚ cholesterol‚ and unwanted fat‚ creating a pure whey protein isolate. 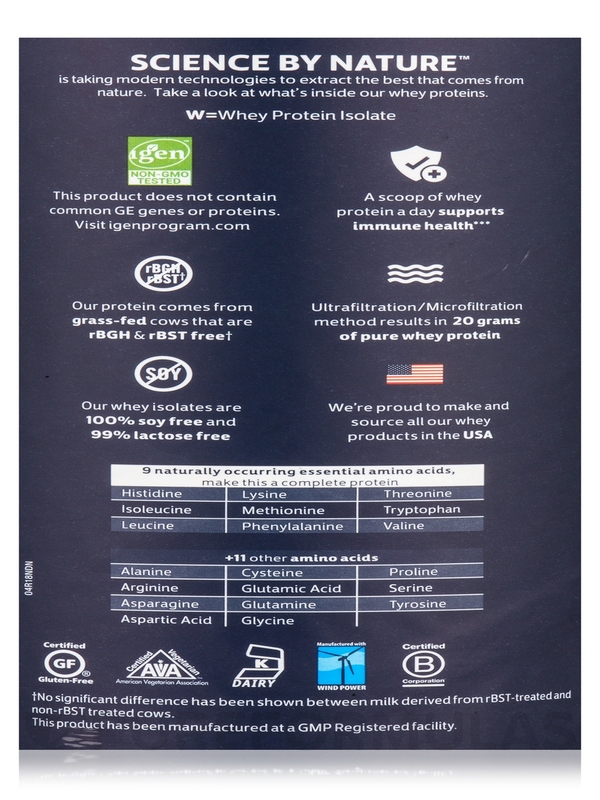 This whey protein isolate is sourced and made in the USA and results in a great tasting whey protein that retains some of the immunoglobulins and lactoferrin as well as the 3 important branch-chained amino acids. 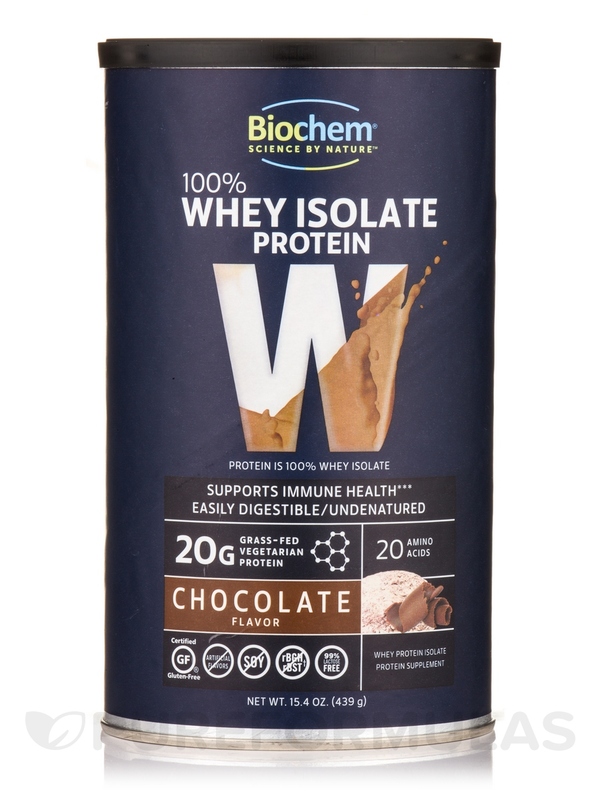 This makes BioChem whey protein your pure solution to adding protein to your diet‚ after exercise recovery‚ or even supporting your weight management goals. Crafted in a certified gluten-free facility‚ this delicious protein mixes easily to form a smooth and creamy shake or try as a as a complement to your morning oatmeal. Other Ingredients: Organic cane sugar‚ cocoa (processed with alkali)‚ sunflower lecithin‚ xanthan gum‚ natural French vanilla flavor. Gluten-Free / Soy-Free / Vegetarian / Kosher / Made in the USA. 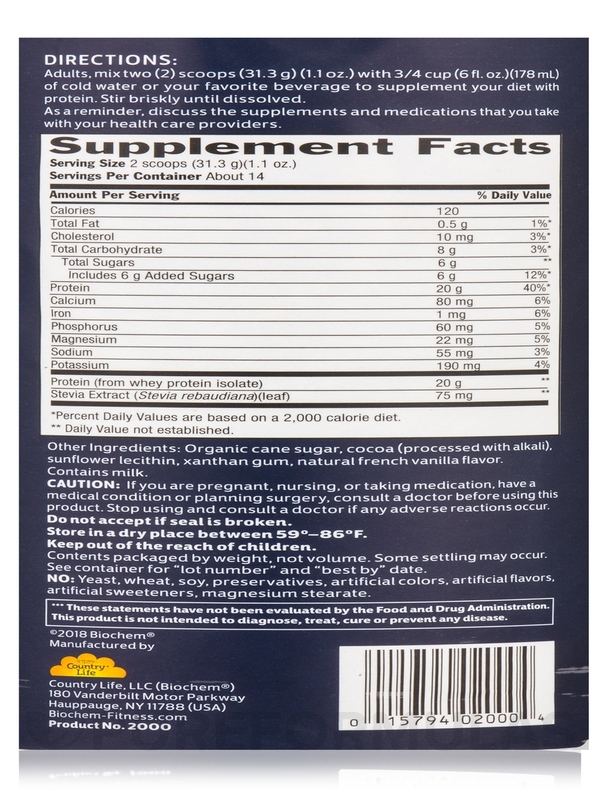 Adults‚ mix two (2) scoops (31.3 Grams) (1.1 oz) with 3/4 cup (6 fl. 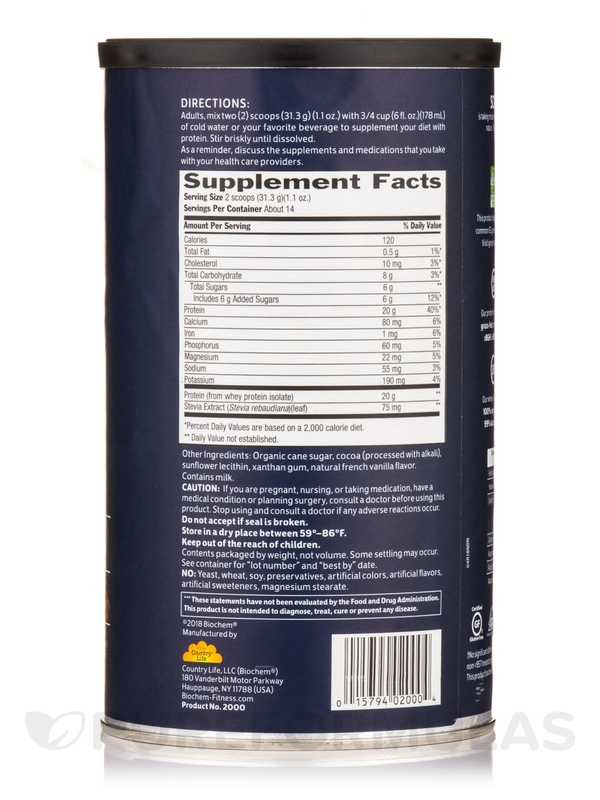 oz)(178 ml) of cold water or your favorite beverage to supplement your diet with protein. Stir briskly until dissolved. The best whey protein powder! I love 100% Whey Protein Powder by Biochem Sports! It takes like a vanilla milk shake. It mixes so easily in either liquid or yogurt I mix it with cottage cheese and it is smooth and delicious. I will not use any other protein mix. I use this daily and am very pleased. I like this flavor the best, after having tried all of them. You will not regret trying this powder! 100% Whey Protein Powder helps me build muscle and this protein powder tastes great. Affordable.